Published By Benjamin Herbst, Esq. Last week a Montgomery County man was found guilty of negligent driving in a traffic incident that resulted in the death of two law enforcement officers. The accident occurred back in December after an FBI agent lost control of his car and hit the concrete median along Interstate 270. The agent’s car became disabled and in the left lane of travel, and shortly thereafter an off duty law enforcement officer stopped to help. As the two were standing in the shoulder awaiting assistance the defendant’s car stuck and killed both of them. The Maryland State Police conducted a thorough accident investigation, which concluded that the driver was at fault. The driver told investigators that he saw the left lane of travel was blocked by a stopped vehicle, but could not move to the right lane of travel as another vehicle was beside him. In order to avoid the stopped car the man swerved into the shoulder, unaware that the two officers were standing in his way. Regardless of his limited options, investigators determined that the 28-year old driver could have avoided striking the officers had he reacted quicker. The accident investigation was forwarded to the State’s Attorney’s Office in order to make a determination whether to file criminal charges, and they declined to do so in an April decision. The driver was issued one single citation for negligent driving, which in Maryland is defined as operating a motor vehicle in a careless and imprudent manner that endangers life or property. 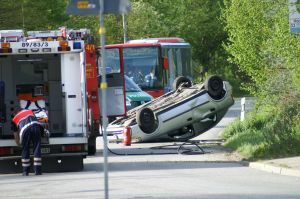 Negligent driving is a lesser form of reckless driving, but neither offense carries the possibility of jail time, and neither offense requires the defendant to appear in court. In any non-jailable traffic offense a may prepay the fine, request a trial or request a waiver hearing where a guilty with explanation plea will be entered. If a defendant elects the latter two options an attorney may appear on their behalf. In this case the driver pled guilty and was ordered to pay a $280 fine, and will receive 3 points from the MVA because the judge did not grant probation before judgment. Prosecutors did not believe that the driver’s conduct amounted to criminal negligence, which could have resulted in charges such as reckless endangerment, criminal negligence, gross negligence and manslaughter by vehicle. This decision obviously did not sit well with the family and friends of the victims, but it’s a prosecutor’s job to only proceed on cases where they believe criminal conduct can be proven beyond a reasonable doubt. Not every decision prosecutors make will be popular, but it is their duty to take emotion out of the equation when considering charges. While there are far too many cases of innocent defendants being prosecuted, there are many instances where charges are dropped or not filed despite the severity of the accusations. Just recently our Firm represented a client on serious criminal allegations that were ultimately dismissed after prosecutors took a hard look at the evidence prior to formally charging the case. The Maryland State Police Trooper who drove up to a gathering of 50 people in the middle of a Baltimore County road last Sunday afternoon must have been caught off guard at first. However the trooper’s confusion likely wore off within seconds after realizing the crowd was actually observing the start of an illegal street race. The crowd quickly dispersed upon noticing the police presence and one the two cars involved in the aborted race fled the scene and was never caught. The other car though was not able to elude the officer, and its driver, a 26-year old man from Harford County, was arrested and charged with numerous offenses. While street racing is illegal in Maryland it is not a jailable offense unless it results in serious bodily injury to another person. Rather racing, or even participating in the race as a timekeeper or flagman, is a payable traffic citation that carries a $290 fine and the possibility of 5 points upon conviction. The troopers that encountered the young man who was allegedly about to race his Corvette down Kelso drive could not make an arrest based on the state traffic laws. Instead they slapped disorderly conduct and disturbing the peace charges on him and took him away in cuffs. Disorderly conduct and disturbing the peace are basically the same crimes under state law, and carry a maximum jail sentence of 60 days. The problem with these crimes is how subjective they are, and that they can include almost any type of behavior. Police officers have far too much discretion and as a result many defendants (and perhaps this defendant) are wrongfully charged. Officers could have written traffic and criminal citations on scene and released the man, but obviously did not feel this was appropriate. He was booked and later released on his own recognizance, and in addition to being summoned for court now has deal with the embarrassment of seeing his booking photo appear on all the news websites. Although the alleged crime took place just steps away from the Baltimore County District Court in Essex, it appears that the defendant will answer for his charges in Towson sometime this summer. It is also worth noting that there is a state police station on that same block, and the rest of the street is mostly commercial and industrial properties that are closed on weekends. Holiday weekends motivate thousands to take to the highways to vacation or visit with friends and family. And in Maryland when the weather is warm, a large majority of these motorists travel between the Baltimore and D.C. metro areas and the Eastern Shore. Some stop in the smaller cities and towns along the way, but most end up in Ocean City or the Delaware beaches. Unfortunately there’s only one major thoroughfare between these two destinations, and the traffic can be a nightmare if you leave at the wrong time. Using nightmare to describe traffic might be a figure of speech, as Route 50 gridlock has become just part of the beachgoer experience. The real nightmares out on the highways are the serious car, motorcycle and truck accidents that injure or even claim the lives of those in search of a little sun and sand before heading back to work. 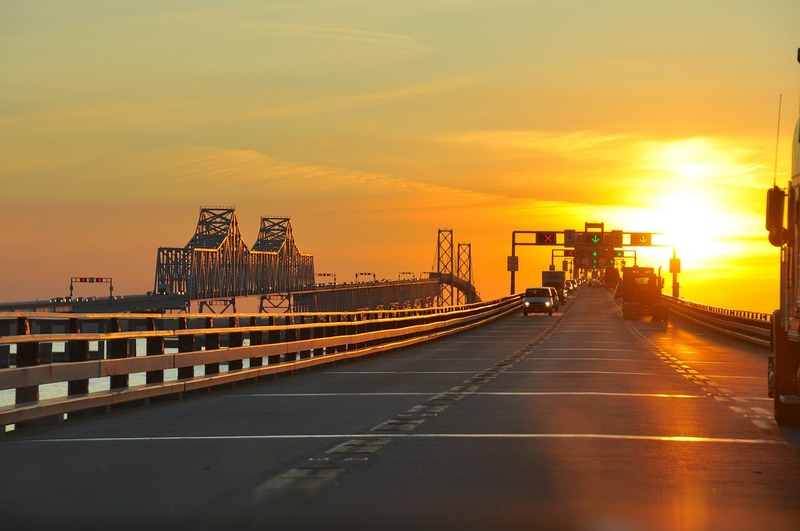 Each year the Maryland State Police has made it a priority to do everything in their power to mitigate the increased risk of serious auto accidents that accompany the spring and summer holidays, and this past Labor Day weekend was no different. In a recent press release State Police took credit for reducing crashes and keeping the public safe, thanks to various initiatives to post more troopers along the holiday driving routes. Initiatives such as Operation Showboat sent troopers posted in the Eastern Shore and the southern part of the state to specifically patrol the Route 50 stretch between the Chesapeake Bay Bridge and Ocean City. These troopers were targeting intoxicated drivers and anyone appearing to be operating in an unsafe manner. All told, MSP reported their troopers conducted over 9,000 traffic stops over the holiday week, and issued over 6,000 citations. There were 119 drunk driving arrests, including 10 arrested over the weekend by the much-publicized S.P.I.D.R.E team, a state police task force dedicated solely toward DUI and DWI enforcement. This task force took to the highways of Montgomery County, which has often been labeled as a drunk driving hotbed by law enforcement. In addition to the thousands of citations and the 100 plus DUI arrests, the Labor Day traffic stops also produced 64 arrests unrelated to impaired driving. These unfortunate holiday motorists were probably pulled over for some minor traffic infraction (or nothing at all) and then arrested after a search yielded drugs or other contraband such as firearms. Police have made it a common practice to conduct traffic stops as a pretext to some other sort of investigation, and these stops have been ruled constitutional by the Supreme Court as long as there was reasonable suspicion to conduct the traffic stop in the first place. Along with the 64 arrests for new crimes, troopers also arrested 75 people who had outstanding arrest warrants. Law enforcement officers that locate wanted individuals do not even need probable cause to stop or detain, as the courts have held that you essentially lose many of your Fourth Amendment rights if you have a valid arrest warrant. This is true even if the arrest warrant was issued in error or never issued at all, as the only factor that matters is whether the officer reasonably believed you had a valid arrest warrant at the time of the seizure. Moral of this story is that if you have an arrest warrant or are traveling with a currently illegal substance such as marijuana, avoiding the main beach routes over the holidays might be in your best interest. A Berlin, Maryland man has been arrested for his 8th drunk driving offense according to the Maryland State Police. Troopers responded to a traffic accident on Route 50 in Wicomico County at 3 a.m. on Sunday morning and made contact with the allegedly intoxicated driver of a 2002 Ford Explorer. The driver who was later charged with DUI apparently failed to stop at a red light, and rear ended a Suzuki SUV that was stopped and waiting for the light to turn green. The driver of the Suzuki, a 47-year-old woman, apparently suffered minor injuries, as did the 3 passengers traveling in her vehicle. All four of the occupants of the Suzuki refused medical treatment from on scene EMTs and left the scene on their own power. The driver of the Explorer however was not afforded the ability to leave the scene on his own power, as the Maryland troopers detained the man for sobriety exercises. The Maryland police officers reportedly immediately noticed signs that the driver may have been driving under the influence of alcohol, and lawfully detained the driver for further investigation. The Maryland DUI defendant was subsequently placed under arrest for his poor performance on the roadside sobriety exercises. Maryland State Police officers quickly found out that the defendant was also driving on a suspended license for multiple previous DUI convictions. In addition, the defendant was required to install an engine interlock device in his car if he ever miraculously obtained a valid Maryland drivers license in the future. Not surprisingly the cereal DUI defendant was driving without his interlock device properly installed. 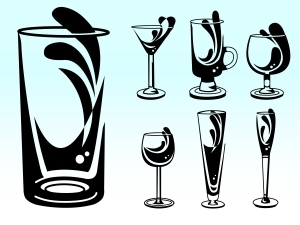 The DUI defendant has a lengthy criminal record in Maryland, and drunk driving charges are not the only type of criminal cases that appear on this record. Theft and disorderly conduct are just some of the other criminal charges that appear on the defendant’s rap sheet. The defendant also has dozens of traffic citations over the last 25 years in multiple Maryland districts, including Ocean City, Salisbury, and Snow Hill. Are Maryland Drunk Driving Laws Too Lenient? In Maryland, and throughout the county, drunk driving is one of the most publicized crimes in the entire justice system. Not only is drunk driving the most common crime in the country according to the bureau of justice statistics arrest data, but drunk driving also affects the widest range of people. Drink driving defendants come from all ages and backgrounds, with some being multiple convicted criminals and others being first time offenders. Drunk driving also affects a wide range of victims, including children. Each year, powerful and well funded lobby groups pour millions of dollars into establishing comprehensive drunk driving educational programs in our schools, and educational commercials on television and radio. These lobby groups also influence state and federal lawmakers to pursue and maintain strict drunk driving laws, and are many times successful in influencing these lawmakers. Recently some of this attention has Maryland drunk driving laws in the news as well. Maryland drunk driving laws have recently been called into question for being too lenient relative to other states in the country. A closer look at the DUI laws in other states reveals that this criticism does not appear to be a reasonable one. Maryland currently has the 26th strictest drunk driving laws in the country according to Mothers Against Drunk Driving (MADD). While this statistic puts Maryland in the middle of the pack in terms of strictness, these numbers can be misleading. Although Maryland may not have as strict a drunk driving policy as Utah, which enforces a 2 day minimum mandatory jail sentence for a first DUI, by no means is Maryland a lenient state when it comes to drunk driving. Road rage and aggressive driving incidents in Maryland have become common in the last decade, and law makers have been forced to address the issue, but rarely does a road range incident make news headlines. Unfortunately a recent dangerous road rage incident appeared in the news just last weekend. 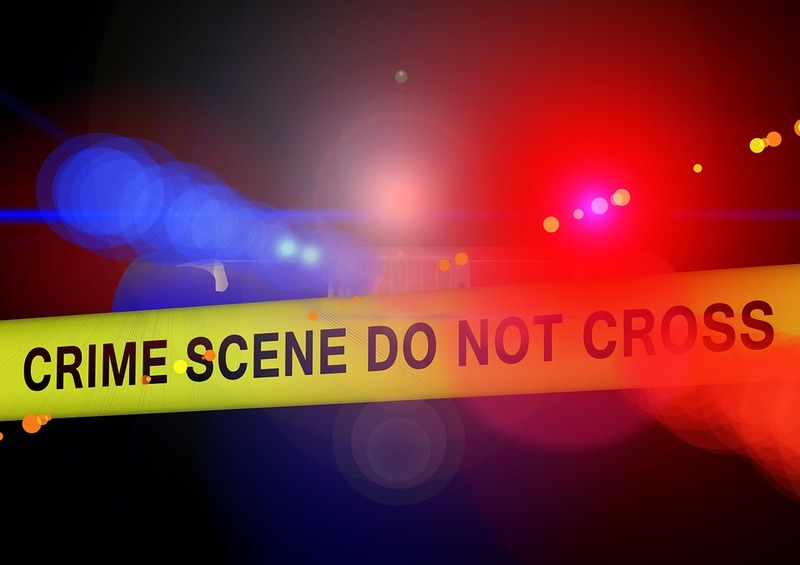 The Maryland state police has reported that a road rage incident on interstate 295 in Baltimore has resulted in a pair of arrests and multiple serious injuries. Police arrested one Maryland man who was the driver of the main vehicle involved in the road rage incident for DUI, assault, and destruction of property. 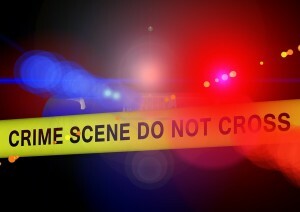 The passenger, another Maryland man, was also arrested and charged with assault and malicious destruction of property. Maryland police reported that the incident began around 8:30 p.m. last Saturday night in the southbound lane of 295 in Baltimore City. 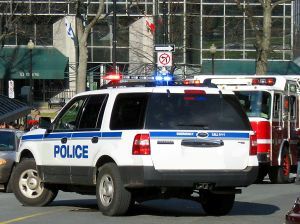 The driver who was arrested for DUI was driving extremely erratically, which prompted another vehicle to honk its horn. The alleged drunk driver took offense to this gesture and rammed his Nissan pickup truck into the passenger side of the other car, a Subaru, and kept driving. Then the alleged drunk driver and the passenger of the Nissan further escalated the dangerous situation by coming to a complete stop in a lane of traffic and exiting their vehicle, forcing other cars bound for Baltimore County to come to a stop as well. The driver and passenger approached the same Subaru, which was unable to go around the Nissan, and began violently kicking and punching the car for no apparent reason other than being honked at. This strange and terrifying situation prompted the driver of a Pontiac to intervene and help out the Subaru’s passengers. Upon seeing the driver of the Pontiac exit his vehicle, the alleged drunk driver and his passenger stopped their assault on the Subaru and returned to their Nissan, but the incident was not nearly finished. Should Maryland Law Makers Address School Bus Accidents? Recently three school buses were involved in a car accident in Prince Georges County, Maryland where upwards of 25 students were injured. And just last week, a central Florida community was rocked by the news that 9 year old student was killed in a school bus accident, along with 15 other students being injured in the crash. These tragic accidents appear to be showing up in the news more frequently, which begs parents and lawmakers to question whether Maryland school buses are actually safe and what the legislature could do to make them safer. 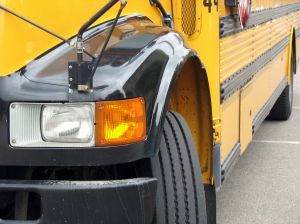 One potential avenue that lawmakers could explore would be to require Maryland school busses to be equipped with seat belts. At lest five states require the use of seat belts on school buses to mitigate injuries resulting from a bus accident. While Maryland does require automobile passengers to wear seat belts, there is no seat belt law on the books for Maryland school busses. One possible reason that there has not been a successful push in the legislature for school bus seat belts is the lack of empirical data proving that seat belts would actually make school busses safer. There are simply not enough car accidents involving school buses in Maryland to adequately support a study. Maryland Police have charged a truck driver with DUI after the driver crashed his tractor trailer on interstate 95 in Baltimore. The apparent drunk driving accident occurred on February 15, on an overpass above interstate 895. Investigators do not know the exact cause of the crash, but the driver likely lost control causing the truck to turn over in the left lane of 95, just north of the Baltimore harbor tunnel. The allegedly intoxicated truck driver was carrying thousands of gallons of a water based chemical additive used in making concrete. Maryland police have yet to release the blood alcohol content of the accused driver, nor did the police divulge whether the driver submitted to a breath or blood alcohol test. The chemical spilled from the truck was deemed on the scene to not be toxic, although gallons of diesel fuel were also spilled in the crash. According to Maryland police, the crash resulted in the temporary closure of both interstates, leading to major delays for drivers passing through one of Baltimore’s busiest stretches of highway. The closure lasted almost 7 hours while police and environmental crews worked diligently to clean up the spill and assure the highway was safe to reopen. 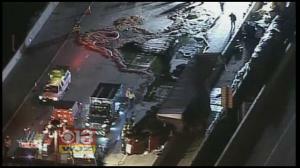 The chemicals and the diesel fuel reportedly were seen dripping off the overpass and on to cars traveling to and from Baltimore city. Police were still investigating the accident at the time that the driver was arrested to determine the exact cause of the crash. Other charges were filed against the driver in addition to driving under the influence of alcohol according to the Maryland Transportation Authority Police. The driver was ticketed for negligent driving, failure to obey lane direction, and a federal trucking regulation that prohibits drinking alcohol prior to operating a commercial vehicle. 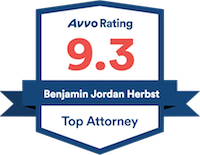 Copyright © 2015 – 2019, Benjamin Herbst, Esq.